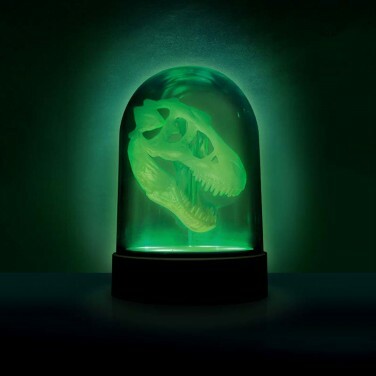 A replica T-Rex skull is illuminated by a green LED in the base of this bell jar that looks as though it's come straight from a lab in Jurassic Park! 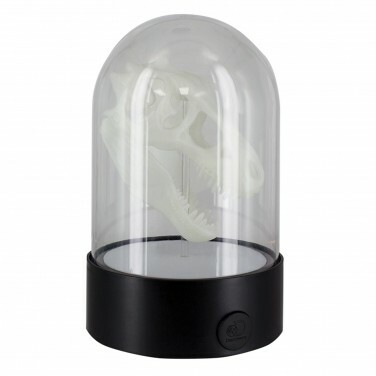 A brilliant lamp for kids rooms, turn off the light and the T-Rex skull will continue to glow in the dark to make an eerie specimen that dino fans will love! 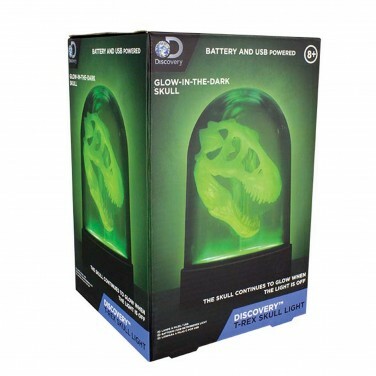 Just the right size to pop on a bedside table, this Discovery Channel lamp can be powered by micro USB (lead included) or battery operated and gives off just enough light for bedtime.